Michael V. Johnston, MD is the Principal Investigator of the CNCDP-K12 grant from NIH-NINDS and the program’s Director. He has been in a leadership position at the Kennedy Krieger Institute and a Professor of Neurology and Pediatrics at Johns Hopkins since 1988. 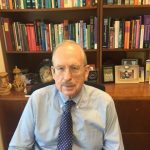 He trained in pediatrics and pediatric neurology at Johns Hopkins, and he also spent two years in the laboratory of Joseph Coyle, MD studying neurotransmitters and neuropharmacology in the Department of Pharmacology at Hopkins. After this training he was recruited to be an Assistant Professor at the University of Michigan in the Departments of Pediatrics and Neurology by Gary Goldstein, MD, the Director of Child Neurology at Michigan who had recently moved from UCSF. During this time he faced the “what am I going to work on” problem of young clinician-scientists seeking their own identity and started to explore ways to protect neonatal rat pups from hypoxic-ischemic brain injury. He received his first NIH funding through an NIH-NINDS Teacher Investigator Award at Michigan, and after moving back to Baltimore to the Kennedy Institute and Hopkins he set up the Neuroscience Laboratory and received a Javits Neuroscience Investigator Award from NINDS. The focus of his scientific work has been on laboratory neuroscience that can be translated into clinical therapies for children with neurological disorders. He has been very fortunate to work with talented young trainees in the laboratory and outstanding faculty collaborators at Michigan, Kennedy Krieger and Hopkins. He recruited a stellar national team of child neurology clinician-scientists including Drs. Amy Brooks-Kayal and Barry Kosofsky as Co-Directors and the members of the Scientific Advisory Committee and Counselors for this new CNCDP-K12 program. He believes that in addition to talented young faculty with new ideas, the major determinants of success as a clinician scientist in child neurology are dedicated time devoted to research in the early years and outstanding mentors and mentoring. Success is not an accident, it can be taught. Amy Brooks-Kayal, MD is Professor of Pediatrics, Neurology and Pharmaceutical Sciences and Chief and Ponzio Family Chair of Pediatric Neurology at the University of Colorado School of Medicine and Children's Hospital Colorado Dr. Brooks-Kayal trained at Johns Hopkins University, University of Pennsylvania and Children’s Hospital of Philadelphia. She joined the University of Colorado in 2008 after 13 years on the faculty at University of Pennsylvania and Children’s Hospital of Philadelphia. Her area of clinical expertise is pediatric epilepsy. Her research focuses on the effects of seizure activity on neurotransmitter systems with particular emphasis on understanding the regulation of GABAA receptor expression in development and epileptogenesis, and development of new therapies for epilepsy. Dr. Brooks-Kayal is an active member of multiple professional societies including Child Neurology Society, American Neurology Association, American Academy of Neurology, Society for Neuroscience, and American Epilepsy Society of which she is the past President. 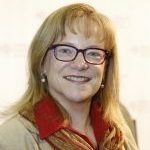 She acted as Co-Chair and Steward for the National Institutes of Health (NIH) Epilepsy Research Benchmarks, is the former Chairperson of the NIH CNNT Study Section and currently is a member of the NIH National Institute of Neurological Disorders and Stroke Advisory Council. 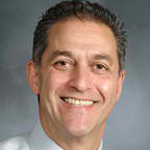 Barry E. Kosofsky, MD, PhD is a developmental neuroscientist and child neurologist committed to advancing translational research in developmental brain disorders. His NIH funded clinical research has included the application of advanced methods for analysis of structural MR data with ongoing studies in the fields of gene therapy for neurogenetic disorders, autism, traumatic brain injury, and prenatal exposure to drugs of abuse. Barry’s NIH funded pre-clinical research has utilized a mouse model of prenatal cocaine exposure to identify epigenetic mechanisms resulting in alterations in gene expression that underlie persistent changes in brain structure and function. He has been the PI of two K12 awards, the recipient of three K awards, and he has also mentored a number of K01 and K08 awardees. These experiences will help him serve as Co-Director of the CNCDP. Dr. Erika F. Augustine's clinical research is focused on the development of new therapeutics in rare neurological diseases and includes FDA-funded research in Juvenile Batten Disease. She has also been active in programs to promote gender and racial diversity in medicine. 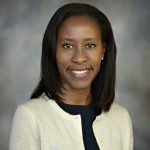 Dr. Augustine, a practicing pediatric neurologist and movement disorders specialist, will direct activities supported by the grant to increase gender and racial diversity in the pediatric neurology research community. Specifically, she will focus on activities that in the short-term promote the awareness of NIH funded research opportunities among child neurologists of diverse backgrounds and over a long time-span increase awareness and interest in the field of Child Neurology as a whole.